I have blogged previously about the wonderful spring-water drinking fountains in the city of Aso, and below is another photo I took of one of them. 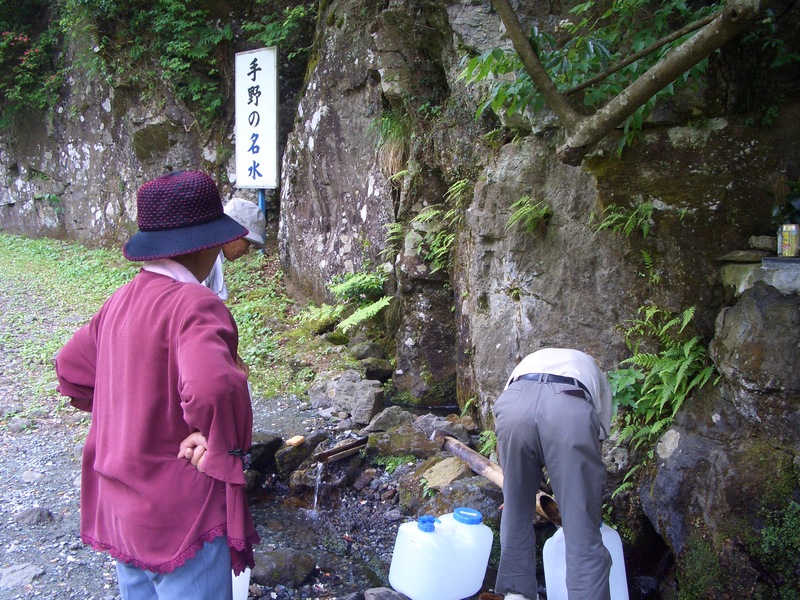 I always look forward to Aso's delicious spring water when visiting tea growers there. 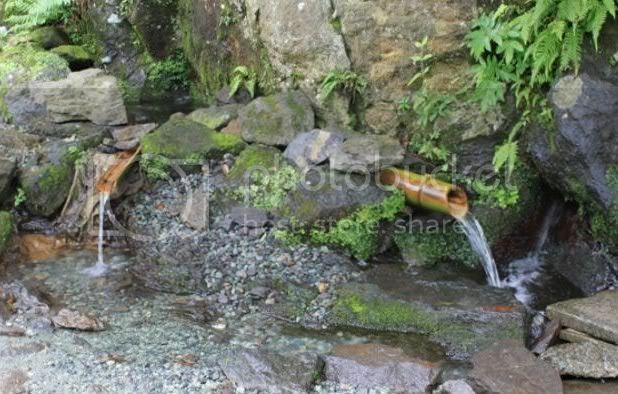 They were even kind enough to show me the "secret" spots where anyone can collect water directly from a fissure in the mountainside. 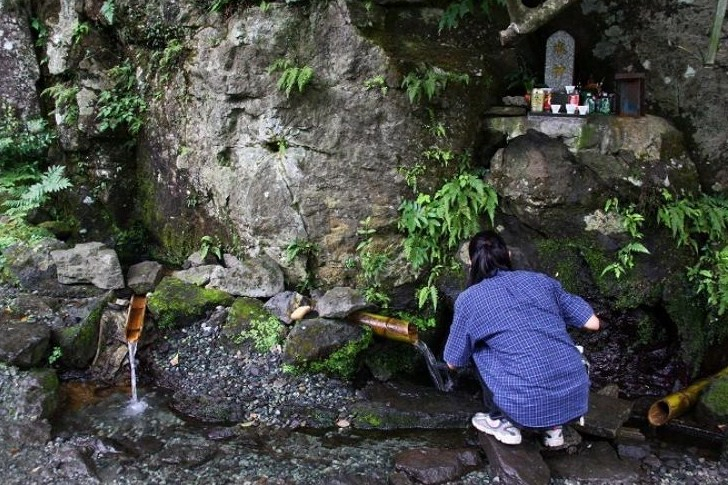 Notice the small shrine shown in the last linked-to photo. I interpret this as symbolizing the people's gratitude for the mountain's watery bounty. 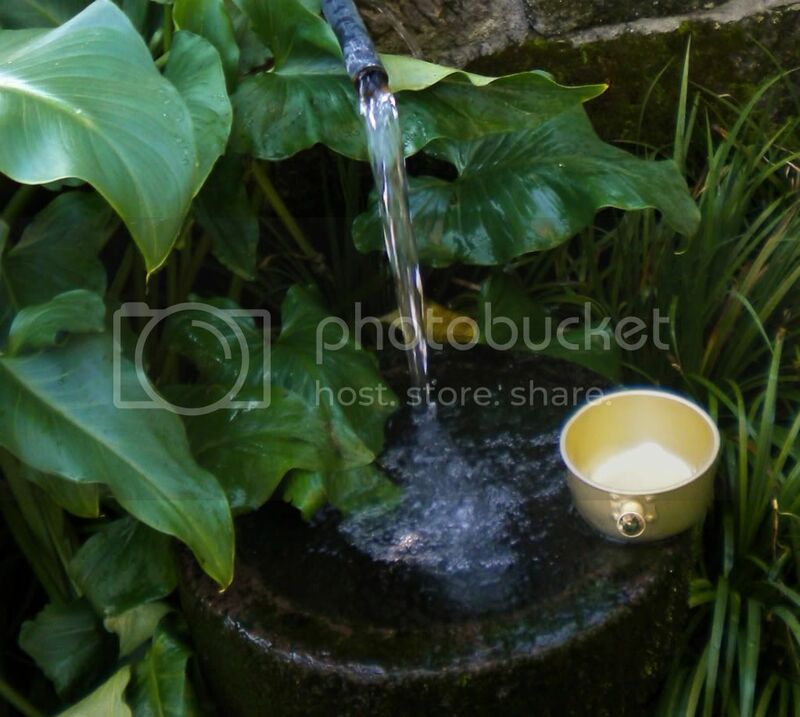 And the drinking fountains in town are like a liquid link to the life-giving mountain.